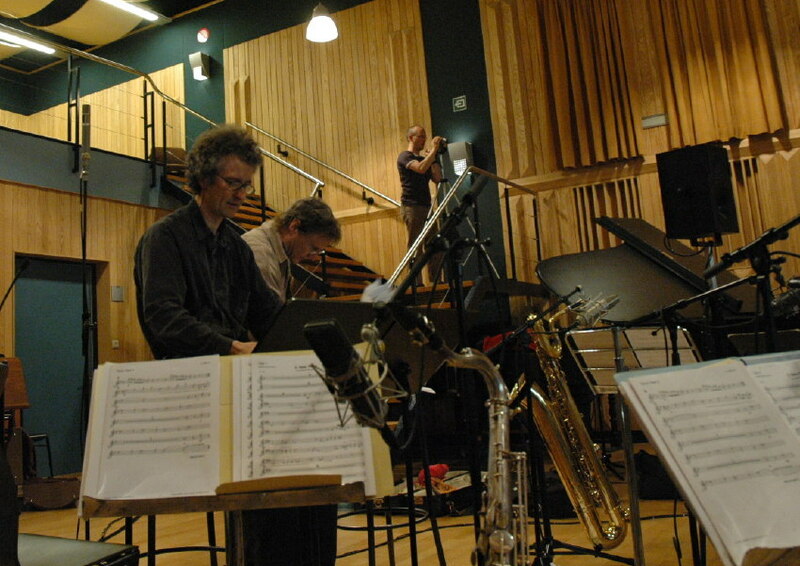 Another photo from the recording session of the double cd "The Music of Michel Herr", with the Brussels Jazz Orchestra. Michel Herr (conductor), Bert Joris (producer), Koen Maes (agent of the BJO) filming. VRT, Studio Toots, Brussels, last week of May 2007. Photo © Frauke Dendooven.